Add some pixie dust to your event! 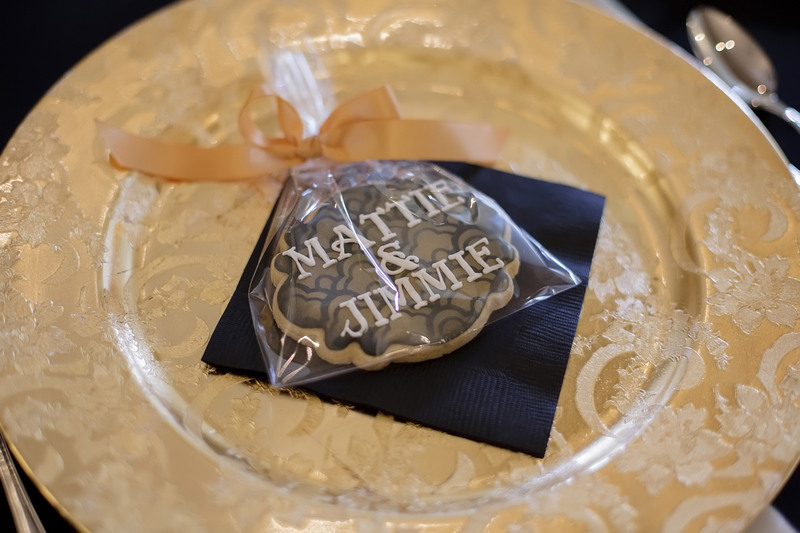 Back in October we had the opportunity to help Mattie and Jimmie celebrate their 50th anniversary. 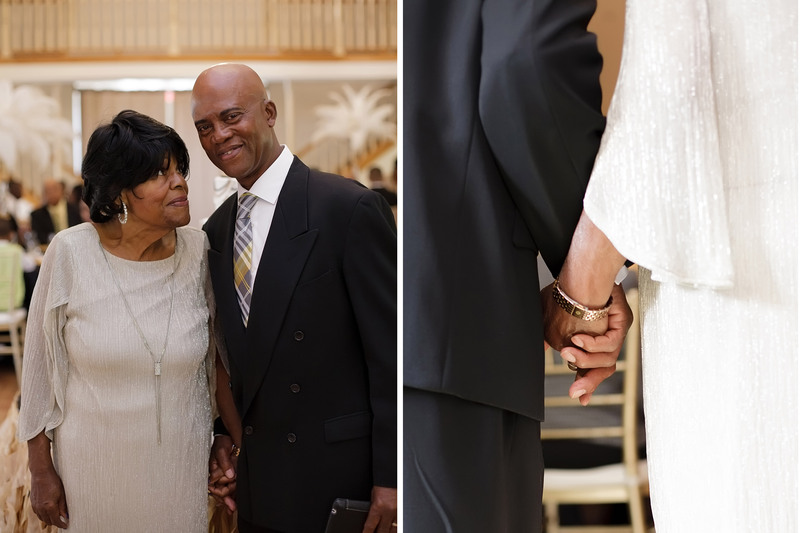 It was a pleasure to work with the Brown Family again. 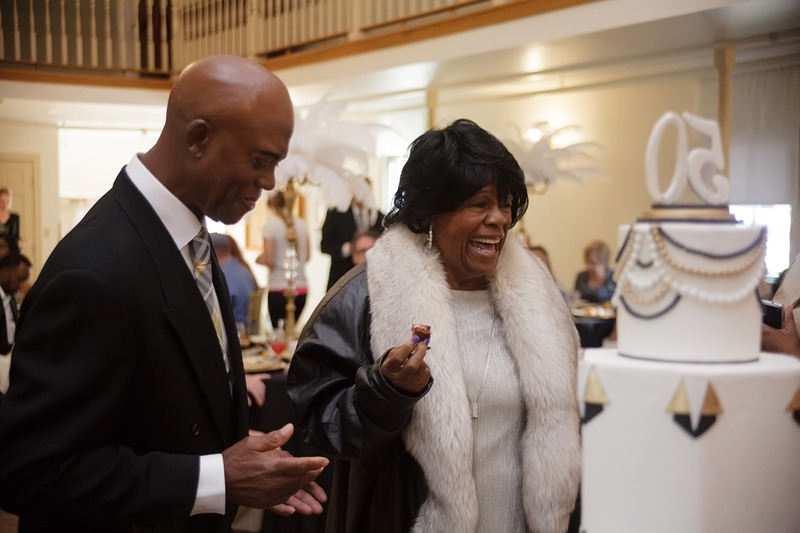 We are always honored when a client chooses us to help them celebrate an event as special as an anniversary. The classic Great Gatsby theme was perfect for this event! The Grand Ledge Opera House was the perfect location for this event. 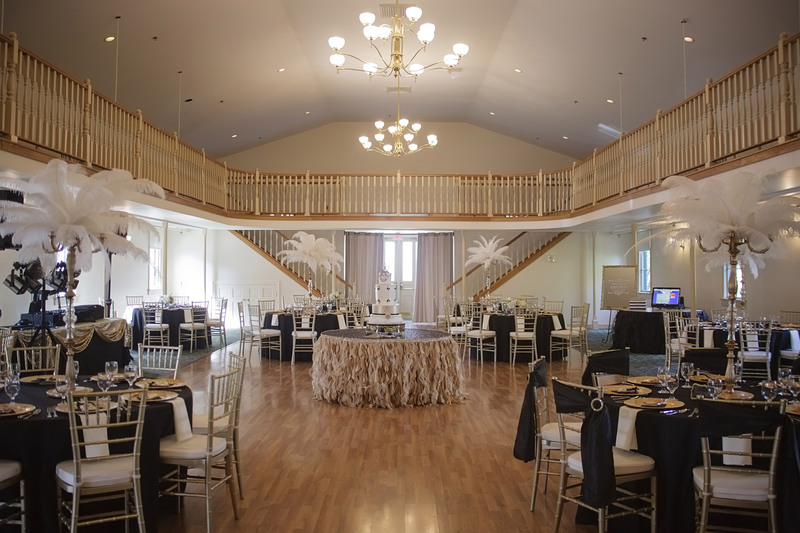 The tall ceilings and beautiful balcony provided the perfect backdrop for this Great Gatsby themed anniversary party. 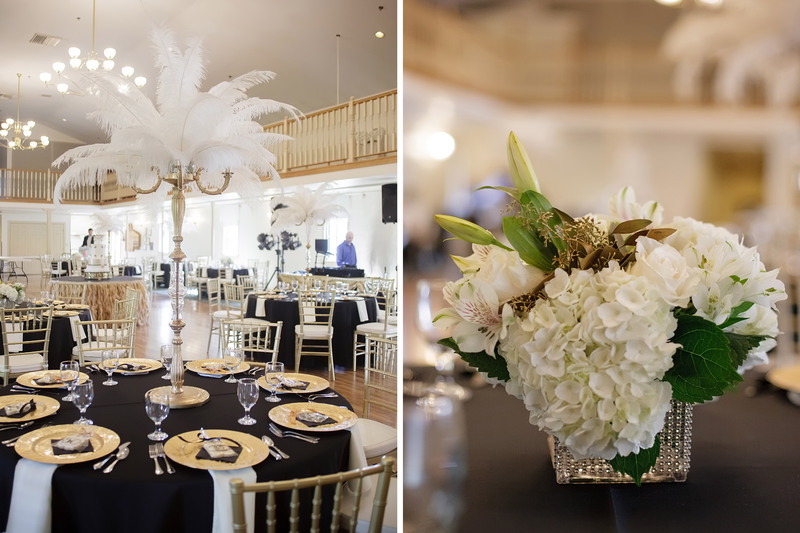 To transform the Opera House into an elegant ballroom we used tall white feather centerpieces, dramatic black linens and gold chiavari chairs. Patterned gold vintage chargers decorated the tables and featured custom sugar cookie favors on each place setting. The art deco cake by Bella e Dolce made for a stunning focal point in the center of the ballroom. 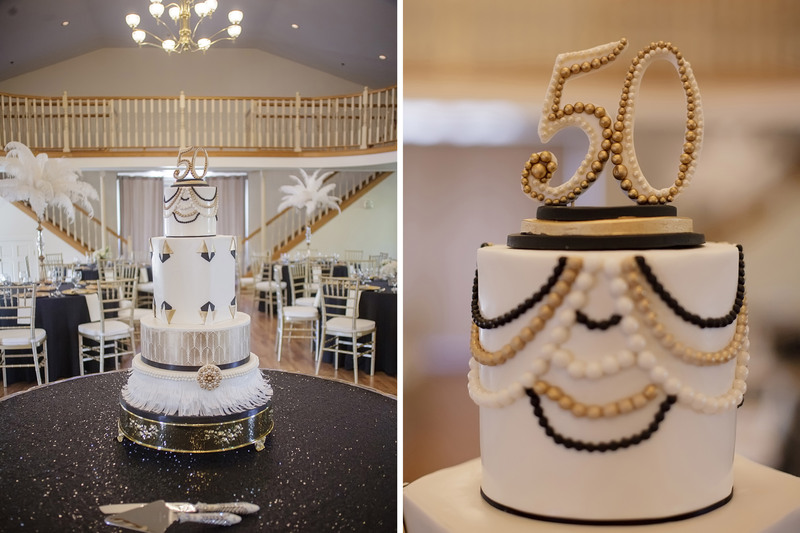 The cake design perfectly captured the Great Gatsby theme with geometric shapes, pearls, feathers and fringe. 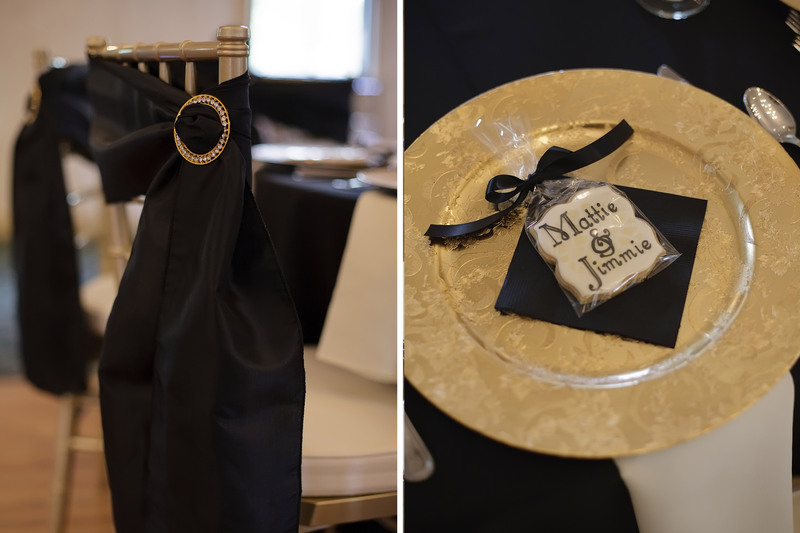 We also added some bling to a fringe skirt and used a black sequin linen to really set off the table. Now THATS a party!! I adore the Great Gatsby theme — it’s too fun + timeless. Perfect for an anniversary party! !